CHARLOTTE, N.C. — Five finalists for the 2018 Bronko Nagurski Trophy – presented annually to the nation’s top defensive player by the Football Writers Association of America and the Charlotte Touchdown Club – were named on Wednesday. In alphabetical order, the finalists are: Kentucky linebacker Josh Allen, Michigan linebacker Devin Bush, LSU safety Grant Delpit, Clemson defensive tackle Christian Wilkins and Alabama nose guard Quinnen Williams. The Bronko Nagurski Trophy recipient will be chosen from these five finalists. The FWAA All-America Committee, after voting input from the association’s entire membership, selects the best defensive player in college football. The annual Bronko Nagurski Trophy Banquet, presented by ACN, will be held on Mon., Dec. 3 at the Charlotte Convention Center. In addition to the 2018 Bronko Nagurski Trophy winner’s announcement, the banquet will also celebrate the recipient of the Bronko Nagurski Legends Award, sponsored by the Rolle Oral & Facial Surgery. Ohio State’s Tom Cousineau, a member of the FWAA’s 1977 All-America team and a College Football Hall of Famer, will be honored. Michigan head coach Jim Harbaugh will be the keynote speaker at the banquet. Josh Allen, LB, Kentucky (6-5, 260, Sr., Montclair, N.J.): Allen has hampered opposing offenses as a pass-rush specialist on the edge. He leads the SEC with 15.5 tackles for loss, which is also 11th in the nation. His 11 sacks are third nationally and he is one full sack shy of the Kentucky single-season record. Another half-sack would tie him (25.5 at present) as the Wildcats’ all-time career leader. 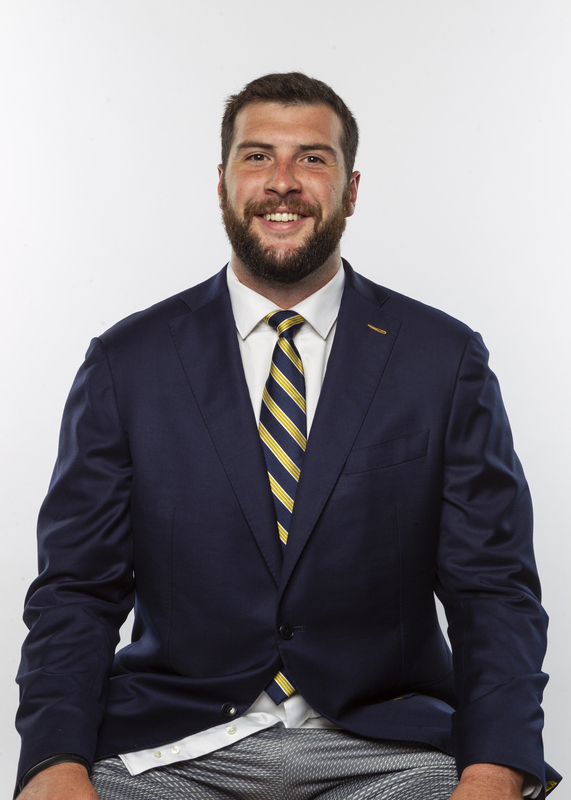 Allen gets progressively better during the game – nine of his 11 sacks have come in the second half with six of them in the fourth quarter – and he is a takeaway producer with five forced fumbles, second in the nation. His 65 total tackles have helped him be named the SEC Defensive Player of the Week four times. Devin Bush, LB, Michigan (5-11, 222, Jr., Penbroke Pines, Fla.): Bush is Michigan’s ball-hawking tackle leader (61) on the nation’s leader in total defense (219.8 yards per game). 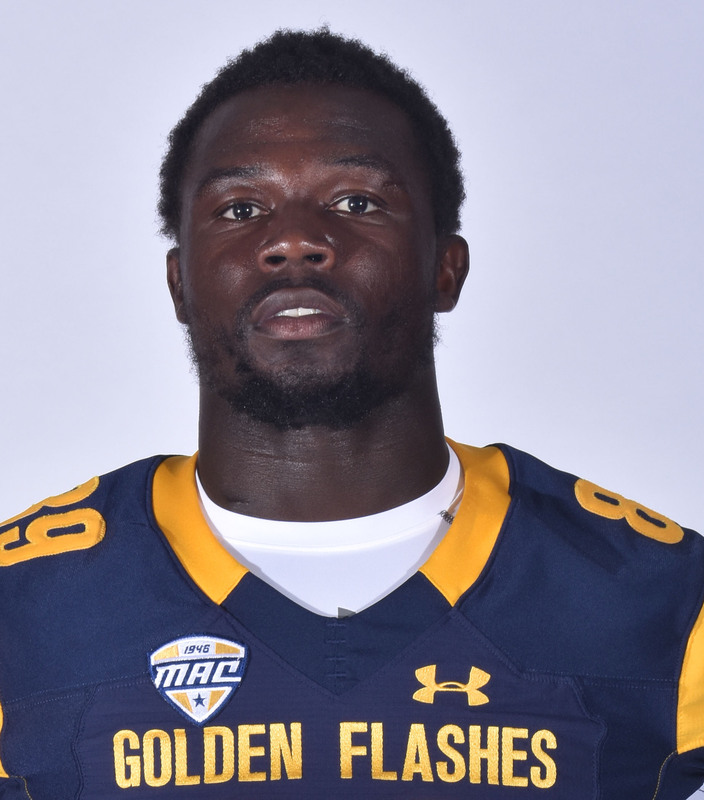 He’s always around the ball on a defense that has allowed 338 fewer yards than any team in the country; his 32 assists lead the team and his 29 solo tackles are second. Bush is the Wolverines’ leader with 8.0 tackles for loss and has had at least one tackle for loss in six games. He tied a career-best 2.5 tackles for loss against Nebraska to go with a season-high nine tackles. His 4.5 sacks are second on the team and Bush has contributed seven or more tackles in six games while breaking up 4.5 passes. Grant Delpit, S, LSU (6-3, 203, So., Houston, Texas): One of this season’s top underclassmen at any position, Delpit leads the SEC and is tied for third in the nation with five interceptions. He also leads the SEC in passes defensed (11) on a defense that leads the SEC and is sixth nationally in pass efficiency defense (98.28 rating). Delpit is third on the team in tackles with 63 and leads in sacks (4.0) and tackles for loss (9.5, 14th nationally). He’s recorded double-digit tackles in three games with a career-high of 10 against Auburn this season when he also had two interceptions and a sack to earn SEC Defensive Player of the Week honors on Sept. 15. Christian Wilkins, DT, Clemson (6-4, 300, Gr., Springfield, Mass. ): A standout player, even as part of a defensive line featuring four returning All-Americans. 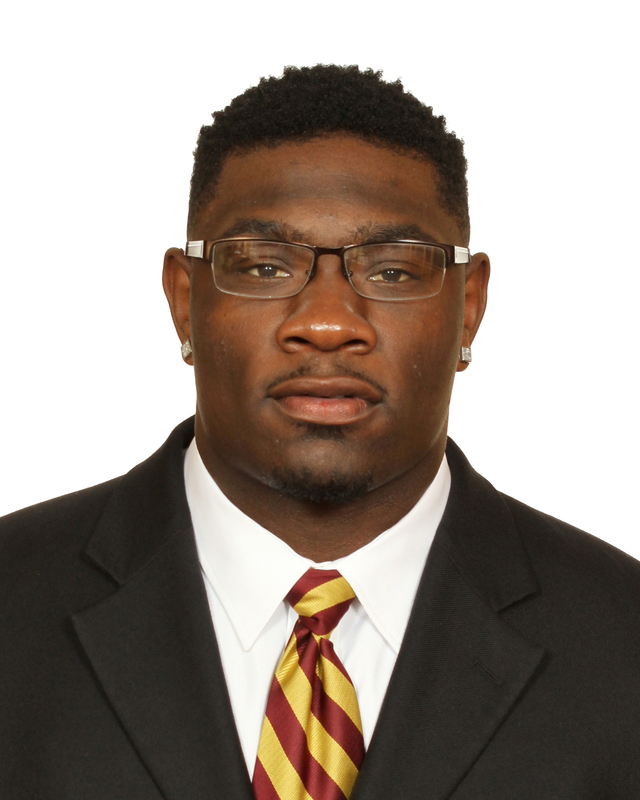 Wilkins was an FWAA First-Team All-America selection in 2016. He has 10.5 tackles for loss, second on the team, to go with three sacks and 40 tackles (29 solo) for the season. Clemson was No. 1 nationally in tackles for loss in the first two of Wilkins’ three prior seasons in the middle and was No. 6 last year. His 13.5 stops behind the line have resulted in 67 yards of losses. Wilkins will play in his 54th career game Saturday against Duke. Wilkins graduated in 2017 with a degree in communications in only two-and-a-half years. Quinnen Williams, NG, Alabama (6-4, 295, So., Birmingham, Ala.): The upstart sophomore leads Alabama with 14.0 tackles for loss for minus-58 yards and is tied for 11th in the SEC with 5.0 sacks and a 0.5 sacks per game average. He too posted a career game against LSU, tallying career highs in tackles (10) and sacks (2.5) and tying a career high in tackles for loss (3.5). Williams, who earned the Outland Trophy Defensive Player of the Month for October, clogs the middle and allows those around him to create havoc – Alabama has had at least 10 tackles for loss in five of 10 games and in three straight. The Crimson Tide’s 36 team sacks and 3.60 sacks per game are both tied for No. 3 nationally. Has been named a defensive player of the week by the Alabama coaching staff eight times in 10 games. In The Trenches, our weekly Outland Trophy matchup preview presented by the National Foundation for Infectious Diseases, features the nation’s top two teams in conference battles as Alabama hosts Mississippi State and Clemson travels to Boston College. FORT WORTH, Texas — Dr. Chris Howard, an Air Force veteran and Robert Morris University president, has been selected as the seventh recipient of Armed Forces Merit Award presented by the Football Writers Association of America (FWAA). Brant Ringler, the Executive Director of the Lockheed Martin Armed Forces Bowl, and Steve Richardson, the FWAA’s Executive Director, announced here Thursday on an 11 a.m. (CT) teleconference that Dr. Howard was selected from a list of 56 nominations as the 2018 recipient by a seven-person committee made up of FWAA members and Lockheed Martin Armed Forces Bowl officials. Kansas State and its football team was honored last November as the sixth recipient of the Armed Forces Merit Award for the university’s partnership with the United States Army that created a bond between the school’s athletic department and the Iron Rangers at Fort Riley. Becoming the eighth president of Robert Morris University in suburban Pittsburgh in February 2016, Dr. Howard is a 1991 graduate of the United States Air Force Academy. As Rhodes Scholar, he earned a doctoral degree from the University of Oxford before graduating with an MBA with distinction from Harvard Business School. In 1990, Dr. Howard received the Campbell Trophy, the highest academic award in the nation presented to a senior college football player, and he was inducted into the CoSIDA Academic All-America Hall of Fame. He is a recipient of the NCAA Silver Anniversary Award, which recognizes distinguished individuals on the 25th anniversary of the conclusion of their collegiate athletic careers. Dr. Howard is a member of the Knight Commission on Intercollegiate Athletics, the College Football Playoff Selection Committee, the College Football 150th Anniversary Committee, and the NCAA Honors Committee. A retired Air Force reserve lieutenant colonel, Dr. Howard served as a helicopter pilot and then became an intelligence officer for the elite Joint Special Operations Command. He served on active duty in Afghanistan in 2003 and was awarded the Bronze Star for his service. Dr. Howard also served as the Reserve Air Attaché to Liberia. As RMU president, Dr. Howard has opened the Center for Veterans and Military Families. RMU recently announced that it is partnering with the SEAL Future Fund to help active-duty and retired Navy SEALs transition to civilian careers. RMU also offers its MBA program at a deep discount to service members stationed at any of four military bases located near its campus. “I am humbled and honored to receive this award, which is as much a testament to what we’ve achieved at Robert Morris University as it to me personally,” said Dr. Howard, who served as the president of Hampden-Sydney College, the oldest privately chartered college in the southern United States located near Richmond, Va.
“The lessons in leadership and character that I learned on the football field served me well as an Air Force officer, and that in turn has shaped my success in business and education, as well as the nonprofit and government sectors,” added Dr. Howard, who graduated from Plano Senior High School in 1987 after helping lead the1986 football team to the Texas State Championship. Nate Boyer of the University of Texas, Austin was the initial Armed Forces Merit Award recipient in 2012. Other recipients were Brandon McCoy of the University of North Texas in 2013, Daniel Rodriguez from Clemson University in 2014, Bret Robertson of Westminster College (Fulton, Mo.) in 2015 and Steven Rhodes from Middle Tennessee State University. ESPN Events, a division of ESPN, owns and operates a large portfolio of 31 collegiate sporting events worldwide. The roster includes three Labor Day weekend college football games; FCS opening-weekend game; 14 college bowl games, 10 college basketball events, a college softball event and two college award shows, which accounts for approximately 375-plus hours of live programming, reaches almost 64 million viewers and attracts over 800,000 attendees each year. With satellite offices in Albuquerque, Birmingham, Boca Raton, Boise, Dallas-Fort Worth, Honolulu, Las Vegas, Montgomery and St. Petersburg, ESPN Events builds relationships with conferences, schools and local communities, as well as providing unique experiences for teams and fans. ESPN Events also manages the Big 12 Corporate Partner Program. Collegiate Football -Academy Sports + Outdoors Texas Bowl (Houston); AdvoCare Texas Kickoff (Houston); Air Force Reserve Celebration Bowl (Atlanta); Bad Boy Mowers Gasparilla Bowl (Tampa, Fla.); Birmingham Bowl (Alabama); Cheribundi Tart Cherry Boca Raton Bowl (Florida); Camping World Kickoff (Orlando, Fla.); Famous Idaho Potato Bowl (Boise); DXL Frisco Bowl (Texas); Guardian Credit Union FCS Kickoff (Montgomery, Ala.); Hawai’i Bowl (Honolulu); Lockheed Martin Armed Forces Bowl (Dallas-Fort Worth); Makers Wanted Bahamas Bowl (Nassau); MEAC/SWAC Challenge (Atlanta); Mitsubishi Motors Las Vegas Bowl (Nevada); New Mexico Bowl (Albuquerque); Raycom Media Camellia Bowl (Montgomery, Ala.); SERVPRO First Responder Bowl (Dallas-Fort Worth); The Home Depot College Football Awards (Atlanta). Collegiate Basketball -AdvoCare Invitational (Walt Disney World Resort near Orlando, Fla.); Armed Forces Classic (Fort Bliss, Texas); Charleston Classic (South Carolina); College Basketball Awards Presented by Wendy’s (Los Angeles); Hawaiian Airlines Diamond Head Classic (Honolulu); Jimmy V Men’s Classic presented by Corona (New York City); Jimmy V Women’s Classic Presented by Corona (South Bend, Ind. ); Myrtle Beach Invitational (Conway, S.C.); NIT Season Tip-Off (Brooklyn, N.Y.); State Farm Champions Classic (Indianapolis) and Wooden Legacy (Fullerton, Calif.). Collegiate Softball -St. Pete/Clearwater Elite Invitational (Clearwater, Fla.). For more information, visit the official website, Facebook, Twitter or YouTube pages. The Football Writers Association of America (FWAA, http://www.sportswriters.net) consists of the men and women across North America who cover college football for a living. Founded in 1941, the membership includes journalists, broadcasters and publicists, as well as key executives in all the areas that involve the game. The FWAA works to govern areas that include game day operations, major awards and an All-America team. Through its website, the FWAA works to improve communication among all those who work within the game. The FWAA also sponsors scholarships for aspiring writers and an annual writing contest. Behind the leadership of President Stefanie Loh of the Seattle Times, Executive Director Steve Richardson and a board of veteran journalists, the FWAA continues grow and work to help college football prosper at all levels. There are now over 1,400 members. DALLAS — Alabama nose guard Quinnen Williams set the pace for an overwhelming performance by the Crimson Tide defense in a 29-0 blanking of LSU. Williams posted career-highs with 10 tackles and 3.5 tackles for loss along with 2.5 sacks as Alabama held the Tigers to 196 yards of total offense. For his play in the middle of the ‘Bama defense, Williams has earned the Bronko Nagurski National Defensive Player of the Week honor for games of the weekend of Nov. 3, as selected by the Football Writers Association of America. Williams, a 6-4, 295-pound sophomore from Birmingham, Ala., was a solo force plugging the middle of Alabama’s defensive front. The top-ranked Crimson Tide (9-0) held No. 3 LSU to just 12 rushing yards, and Williams’ 3.5 tackles for loss and 2.5 sacks combined to account for 37 yards lost for the Tigers. Seven of Williams’ 10 stops were solo tackles. LSU had been averaging 383.6 yards and 30.4 points per game coming into the game. Williams leads the Crimson Tide’s defensive line in tackles with 43 this season along with a team-high 12 tackles for loss (with minus-49 yards lost) and 4.0 sacks (for minus-26 yards). He is second on the team in quarterback hurries with nine and has one pass broken up. Key battles in the Big Ten and Big 12 races headline In The Trenches, our weekly look at matchups featuring Outland Trophy candidates. Michigan plays host to Penn State and tries to keep its upper hand in the East Division race and Texas travels to Morgantown to face high-flying West Virginia in what may be an elimination game in the battle for the conference’s regular-season title. FORT WORTH, Texas — Five individuals and one program have been named as finalists for the 2018 Armed Forces Merit Award presented by the Football Writers Association of America (FWAA). This year’s recipient will be announced prior to Veteran’s Day on Thursday (November 8). The announcement of the 2018 recipient will be made jointly by Lockheed Martin Armed Forces Bowl Executive Director Brant Ringler and FWAA Executive Director Steve Richardson on an 11 a.m. (CT) teleconference. Three of the five individual being for the 2018 Armed Forces Merit Award presented by the FWAA were also finalists in 2017 when Kansas State and its football team was announced last November as the sixth recipient of the Armed Forces Merit Award for the university’s partnership with the United States Army that created a bond between the school’s athletic department and the Iron Rangers at Fort Riley. 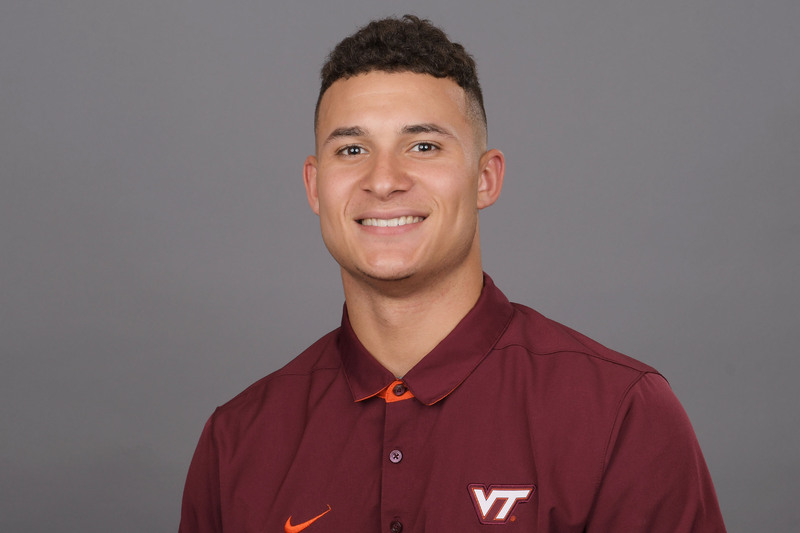 Other individuals named as finalists are defensive back and Air Force veterans Darren Palmer of UNLV and wide receiver and National Guard reservists Casey Stewart of Shenandoah University in Winchester, Va. 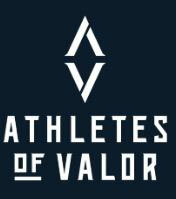 The lone program advancing to the finals is Athletes Of Valor, an organization that works with active duty military and veterans to help them get recruited to college and play sports. Nate Boyer of the University of Texas, Austin was the initial recipient in 2012. Other recipients were Brandon McCoy of the University of North Texas in 2013, Daniel Rodriguez from Clemson University in 2014, Bret Robertson of Westminster College (Fulton, Mo.) in 2015 and Steven Rhodes from Middle Tennessee State University. Athletes Of Valor – Unlike college-athlete recruiting services, Athletes of Valor uniquely serves servicemen and women throughout the different stages and challenges of their transition. First, by connecting qualified, competitive servicemen and women with collegiate coaches, and then by facilitating internship and job opportunities with corporate partners. Athletes of Valor’s only-of-its-kind model provides veterans an avenue to showcase their skills and character traits while also giving collegiate coaches the space they need to access experienced veteran athletes. Over one million servicemen and women will transition over the next four years, and statistics show that only about fifty percent will end up earning a degree. With around 85% of student-athletes graduating, the numbers tell a story. With Athletes of Valor, veterans have a unique opportunity to compete on a collegiate team, contribute their experience and maturity, and be a part of something bigger than themselves. Bridging the communication gap between service members and collegiate coaches is at the core of Athletes of Valor’s overall mission to help veteran’s transition successfully. 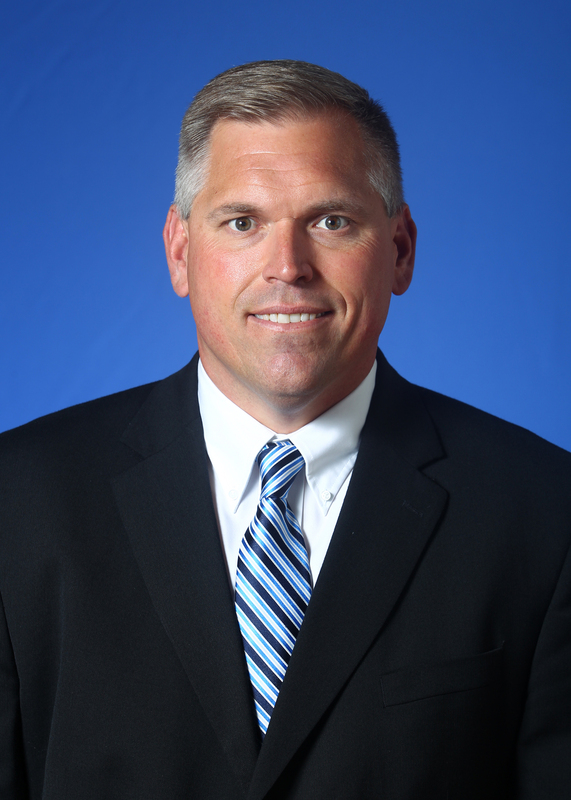 Troy Calhoun, Head Coach, United States Air Force Academy (U. S. Air Force) – A 1989 graduate from the Academy and a member of the superintendent’s list by earning over a 3.0 grade point average along with a military performance average of better than 3.0, Calhoun and his wife, Amanda, have a strong respect and affinity for the members of our armed services and are very involved with numerous charitable and community endeavors. After serving from 1989-1995 as an active duty officer in the Air Force, Calhoun coached at Ohio, Wake Forest, the Denver Broncos and the Houston Texans before becoming the Falcon head coach in 2007. 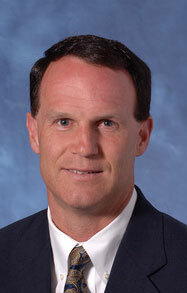 In 11-plus seasons at Air Force, Calhoun has led the Falcons to nine bowl games and an 85-64 record. Dr. Chris Howard, President, Robert Morris University (U. S. Air Force) – Dr. Howard is the eighth president of Robert Morris University in suburban Pittsburgh. He is a 1991 graduate of the United States Air Force Academy, a Rhodes Scholar (earned a doctoral degree from the University of Oxford), and a graduate with an MBA with distinction from Harvard Business School. Dr. Howard received the Campbell Trophy, the highest academic award in the nation presented to a senior college football player, and he was inducted into the CoSIDA Academic All-America Hall of Fame. He is a recipient of the NCAA Silver Anniversary Award, which recognizes distinguished individuals on the 25th anniversary of the conclusion of their collegiate athletic careers. Dr. Howard is a member of the Knight Commission on Intercollegiate Athletics, the College Football Playoff Selection Committee, the College Football 150th Anniversary Committee, and the NCAA Honors Committee. A retired Air Force reserve lieutenant colonel, Dr. Howard served as a helicopter pilot and then became an intelligence officer for the elite Joint Special Operations Command. He served on active duty in Afghanistan in 2003 and was awarded the Bronze Star for his service. Dr. Howard also served as the Reserve Air Attaché to Liberia. As RMU president, Dr. Howard has opened the Center for Veterans and Military Families. RMU recently announced that it is partnering with the SEAL Future Fund to help active-duty and retired Navy SEALs transition to civilian careers. RMU also offers its MBA program at a deep discount to service members stationed at any of four military bases located near its campus. Darren Palmer, UNLV (U. S. Army) – A walk-on defensive back/receiver, Palmer got his first taste of college football last season after previously spending nearly a decade serving in the military. He joined the Rebels in 2017 through open tryouts during the offseason, which led to a roster spot during spring practice. Palmer Joined the U.S. Air Force out of high school in 2009 and rose to E-4 Senior Airman status during the four-year stint. He was also stationed first in Fairbanks, Alaska, before moving to a base in Hawai’i. He has also spent three years in the Air National Guard. A 2009 graduate of Lithia Springs High School in Georgia, Palmer is a human services major at UNLV. He was one of a school-record 26 Rebels named 2017 Academic All-Mountain West. A member of the Rebels special teams, Palmer has competed in seven games this season with seven total tackles. Casey Stewart, Shenandoah University (National Guard) – In his third-season at the Winchester, Va., school, Stewart is the Hornets third-leading receiver (35 catches for 529 yards) and leads Shenandoah in scoring with 11 touchdown receptions for 66 points. After catching only one pass as a freshman, Stewart had 32 receptions for 478 yards and six touchdowns in 2017 for Shenandoah. He enlisted in the National Guard in January 2017 and completed his basic training in Fort Benning, Georgia. He missed most of Shenandoah’s spring practice while he spent the next 14 weeks in boot camp. Stewart made an appearance at SU toward the end of spring practice 2017 to show his coaches and teammates that he was still invested in the Hornets’ football program. He also was forced to miss the first week of Shenandoah’s preseason camp in August while at a two-week training exercise at Fort A.P. Hill in Virginia. Stewart has a six-year contract with the National Guard with an additional two years of inactive reserve if he chooses not to re-up his contract. He wants to work for the federal government (FBI, CIA or DEA) upon his college graduation. If he doesn’t get accepted agencies, he’ll attend officer candidate school. Rusty Whitt, Strength & Conditioning, Texas Tech University (U. S. Army) – In his third season at Texas Tech, Whitt served in the United States Army as a Senior Special Forces Communication Sergeant in the 10th Special Forces Group. Whitt was a member of the U.S. Army from Aug. 2003-Jan. 2009 where during that time he deployed to Iraq as part of Operation Iraqi Freedom (OIF) V and VI. Whitt developed and initiated a comprehensive pre-deployment conditioning program for his Special Forces Team prior to and during OIF V and VI. He received a combat infantry badge, two Iraqi campaign medals and an Army commendation medal with valor. Whitt spent six seasons as the head strength and conditioning coach for a Louisiana-Lafayette and a year-long stint as an assistant strength and conditioning coach at Rice. 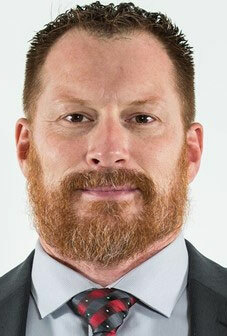 Prior to joining the military, Whitt was the head strength and conditioning coach at Sam Houston State. Whitt began his strength and conditioning career with graduate assistantships at Midwestern State University, and the University of Texas. He performed an internship in the strength and conditioning department at the U.S. Olympic Training Center. Whitt earned his bachelor’s degree in police science and administration from Abilene Christian University in 1994 and his master’s degree in kinesiology from Texas in 1997. 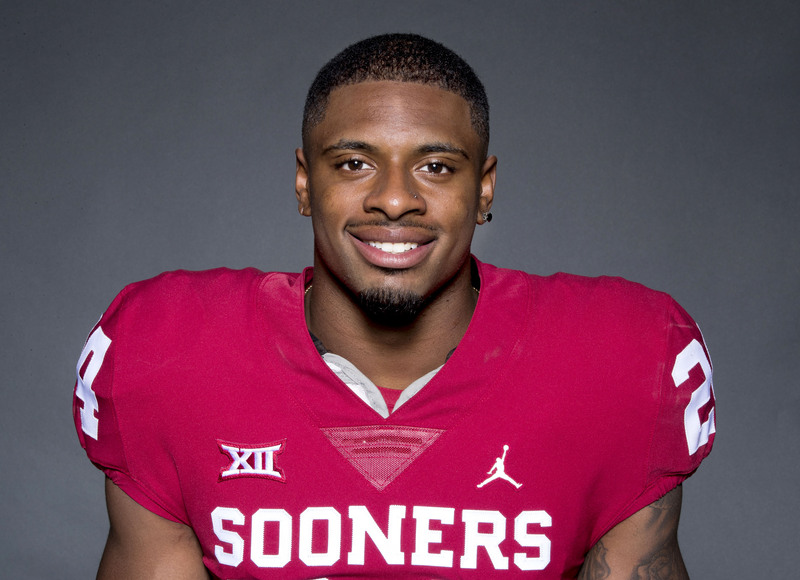 DALLAS – Oklahoma’s Tre Brown is this week’s nominee for the 2018 Capital One Orange Bowl-FWAA Courage Award. Brown, a sophomore cornerback, lost his mother Oct. 14 but has not missed a game for the Sooners. Brown’s mother, Beverly Brewer, died on Oct. 14. Her funeral was three days later in Tulsa, Okla., where several of Brown’s Sooner teammates served as pallbearers. 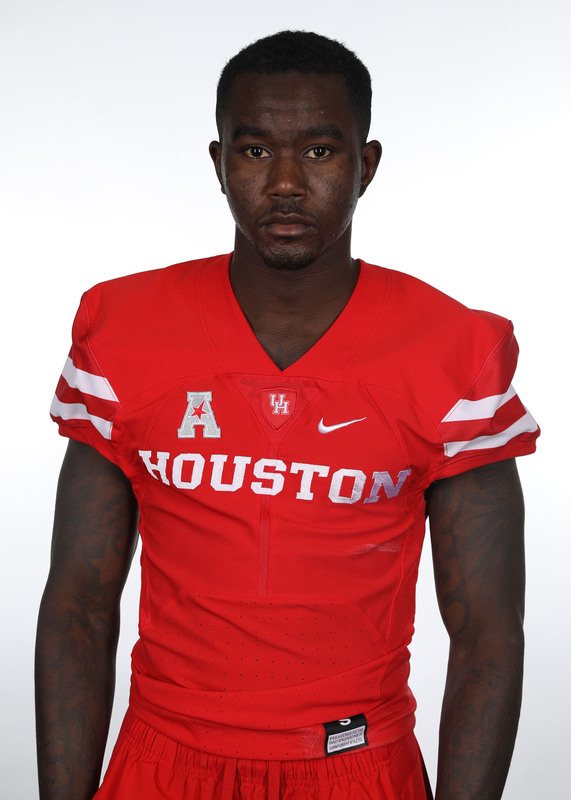 Brown then made his first start of the season Oct. 20 in a 52-27 win over the Horned Frogs, tallying four tackles and two pass breakups, which earned him a game ball from Riley in the locker room. He started at corner again in this past Saturday’s 51-14 win over Kansas State, and he returned the game’s opening kickoff 27 yards. Brown, a 5-foot-10, 182-pounder from Tulsa, leads the Sooners with six pass breakups this season. He has 25 total tackles and three tackles for loss. DALLAS — Middle Tennessee safety Reed Blankenship made a career-high 17 tackles and had a sack and three tackles for loss in the Blue Raiders’ 51-17 win at Old Dominion. He also returned an interception 100 yards for a touchdown just before halftime, and with his performance, Blankenship has earned the Bronko Nagurski National Defensive Player of the Week honor for games in the weekend of Oct. 27, as selected by the Football Writers Association of America. Blankenship had nine solo tackles among his 17 stops, but it was his interception that punctuated a career-best day for the sophomore from Athens, Ala. MTSU led 24-10 toward the end of the second quarter but with ODU threatening inside the Blue Raiders’ 10-yard line. On the final play of the half, Blankenship tipped an ODU pass into the end zone and was able to haul in the loose ball at the goal line. He broke to the right sideline, made two players miss on tackles and cut inside to run the last 70 yards untouched. Instead of perhaps only a 24-17 halftime lead, MTSU went into the locker room up 31-10. The interception was the first for Blankenship this season and the third of his career. MTSU’s five takeaways led to 20 points, including another pick-six in the fourth quarter. The 100-yard return equaled the longest in MTSU history, the other coming in 1970. Each Tuesday during the regular season, the FWAA has selected a Bronko Nagurski National Defensive Player of the Week since 2001. Blankenship will be added to the Bronko Nagurski Trophy Watch List. The FWAA and the Charlotte Touchdown Club will announce five finalists for the 2018 Bronko Nagurski Trophy on Wed., Nov. 14. The winner will be chosen from those five finalists who are part of the 2018 FWAA All-America Team. Dr. Richard R. Rolle Jr. is a leading oral & maxillofacial surgeon, with strong ties to athletics and delivering excellence. Rolle Oral & Facial Surgery (www.rolleoralfacialsurgery.com) offers expertise in: dental implants, wisdom tooth extraction, youth-capturing, cosmetic injectables, oral surgery and cleft lip reconstruction in his Lake Norman, N.C., practice. Dr. Rolle holds a B.A. from the University of Notre Dame where he played varsity football under legendary Coach Lou Holtz. He completed his oral surgery internship at Harvard’s Massachusetts General Hospital and holds a Doctor of Dental Surgery from Meharry Medical College. 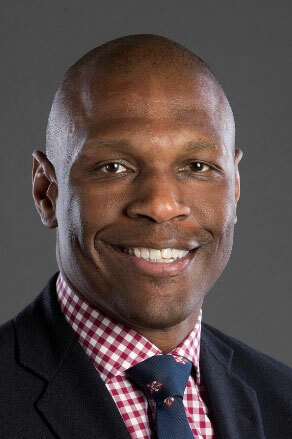 Rolle Oral & Facial Surgery is the official surgeon for the Charlotte Hornets, Charlotte Checkers and Charlotte 49ers. One of college football’s great scenes and rivalries leads our weekly In The Trenches preview as Florida and Georgia do battle in Jacksonville to stay atop the East Division of the SEC. And, 2017 Outland winner Ed Oliver and the Houston defense face a stiff test when unbeaten South Florida comes to town. FORT WORTH, Texas — A total of 22 collegiate players, one college president, 17 college coaches, 10 college and university administrators, two college referees and four program have been nominated for the 2018 Armed Forces Merit Award presented by the Football Writers Association of America (FWAA). With 56 nominations to be considered, the award’s selection committee of five FWAA members and two representatives from the Lockheed Martin Armed Forces Bowl will determine the 2017 recipient that will be announced the week of November 4 by Lockheed Martin Armed Forces Bowl Executive Director Brant Ringler and FWAA Executive Director Steve Richardson. Kansas State and its football team was announced last November as sixth recipient of the Armed Forces Merit Award for the university’s partnership with the United States Army that created a bond between the school’s athletic department and the Iron Rangers at Fort Riley. Boyer (long snapper), McCoy (defensive lineman), Rodriquez (wide receiver) and Robertson (defensive back) served in the Army before playing collegiate football. After his military service with the Marine Corp, Rhodes played four seasons at Middle Tennessee including an appearance in the 2013 Lockheed Martin Armed Forces Bowl with the Blue Raiders. Cornelius Andrews, Union College, WR, 5-7, 169, Soph., Stockbridge, GA.
Dromynique Chestnut, Azusa Pacific, DB, 5-9, 180, Jun., Twentynine Palms, Calif.
Isom Coley, Union College, DB, 5-11, 191, Frosh, Troy, Ala.
Rasheed Holloway, Union College, WR, 6-0, 198, Frosh, Fort Lauderdale, Fla.
Joshua Horn, Western New England, LB, 6-0, 230, Frosh, Mendon, Mass. 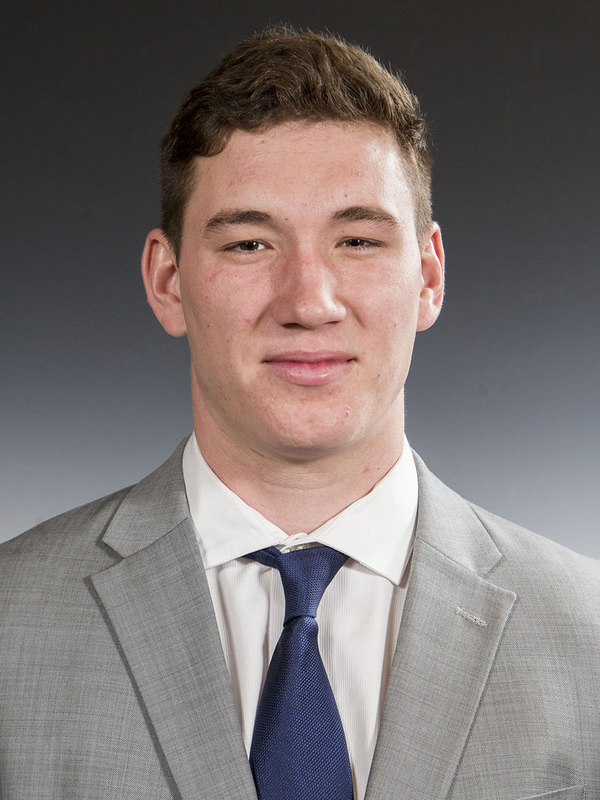 Kenwon Mack, Union College, CB, 5-9, 165, Frosh, Detroit, Mich.
Collin O’Donnell, Bluefield College, DL, 6-0, 250, Frosh, North Tonawanda, N.Y.
Cody Petero, Union College, TE, 5-9, 237, Soph., Pevely, Mo. Jarris Wade, Hillsdale College, TB, 6-2, 227, Frosh, Oklahoma City, Okla.